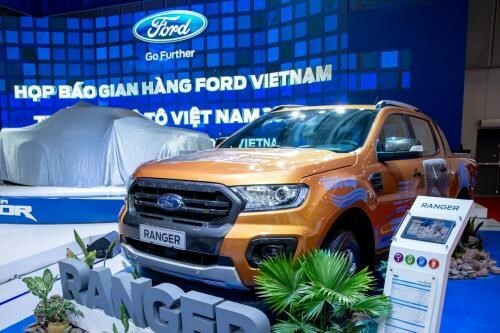 Hanoi (VNA) – Sales of imported automobiles recorded a year-on-year leap of 234 percent to about 32,000 vehicles in the first quarter of this year, announced the Vietnam Automobile Manufacturer Association (VAMA) on April 10. Meanwhile, the figures of domestically-assembled ones fell 8 percent to over 46,250 units in the reviewed period. Automobile sales of the country stood at 78,250 vehicles in Q1, a surge of 31 percent compared to the same period last year. The increase was attributable to the rise of sales of passenger cars at 48 percent, followed by commercial vehicles at 1 percent, while sales of special-use vehicles dropped 32 percent. In March alone, as many as 32,308 cars were sold, a month-on-month rise of 160 percent and 54 percent against the same period last year. Of the figure, there were nearly 22,530 passenger vehicles, representing a surge 151 percent compared to the previous month; along with 8,920 commercial and 860 special-use ones, up 170 percent and 390 percent, respectively. Sales of both domestically-assembled and imported vehicles enjoyed strong increases in the month. For example, Hyundai Thanh Cong alone sold 16,792 vehicles of all kinds in the quarter and 6,061 ones in March alone.